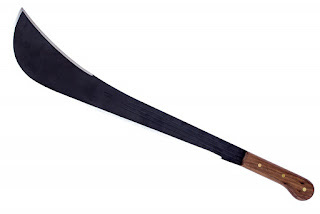 GWERU – Three men from Mkoba 11 are recuperating at Gweru Provincial Hospital following a brutal attacked by suspects wielding machetes. Midlands Province Acting Police spokesperson Assistant Inspector Ethel Mukwende confirmed the incident which happened at Players Night Club on Tuesday last week. Mukwende said Police is looking for four suspects who are on the run. The incident happened at around 12 midnight when the three complainants Passmore Chikuru (26), Pritchard Mudada (23) and Tavengwa Sibanda (30) were in the night club drinking beer. One of the suspects stepped on Mudada’s foot but he did not say anything. Mudada went outside the club and two accused persons followed him. Whilst outside the bar the two accused persons pushed Mudada to the ground and made a signal to call the other suspects. They teamed up and assaulted Mudada with empty beer bottles. The other two complainants who were in the bar heard the noise outside and they ran out to check what was happening. Upon trying to help Mudada the suspects pulled out machetes and started attacked the three. The three managed to escape and made a Police report. Police is appealing for information leading to the arrest of the suspects.